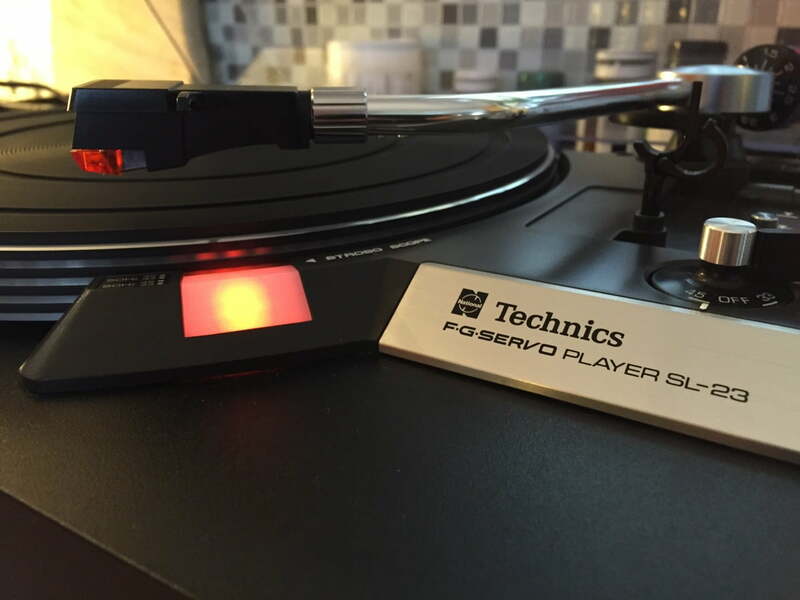 The Technics SL-23 is an affordable and very cool belt-drive turntable from the late 70’s. 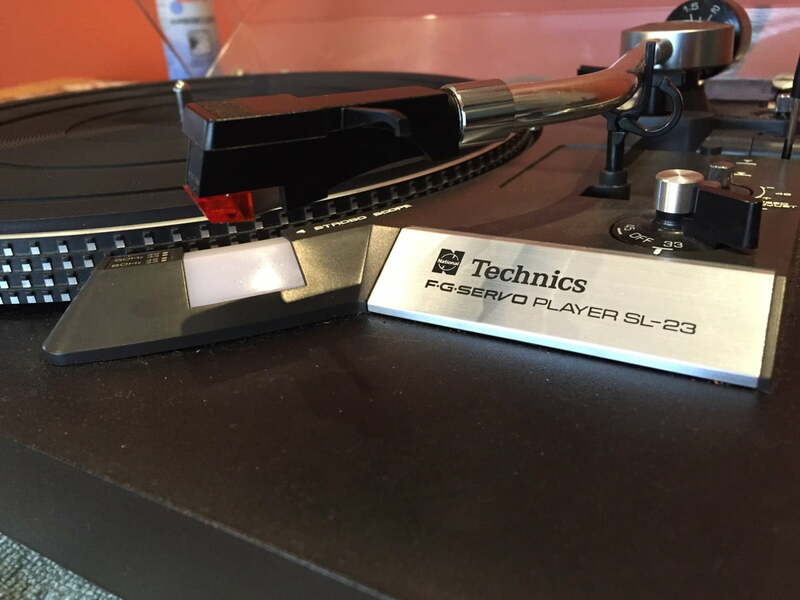 I highly recommend the SL-23, ahead of many other budget decks, for someone looking for their first ‘proper’ turntable. 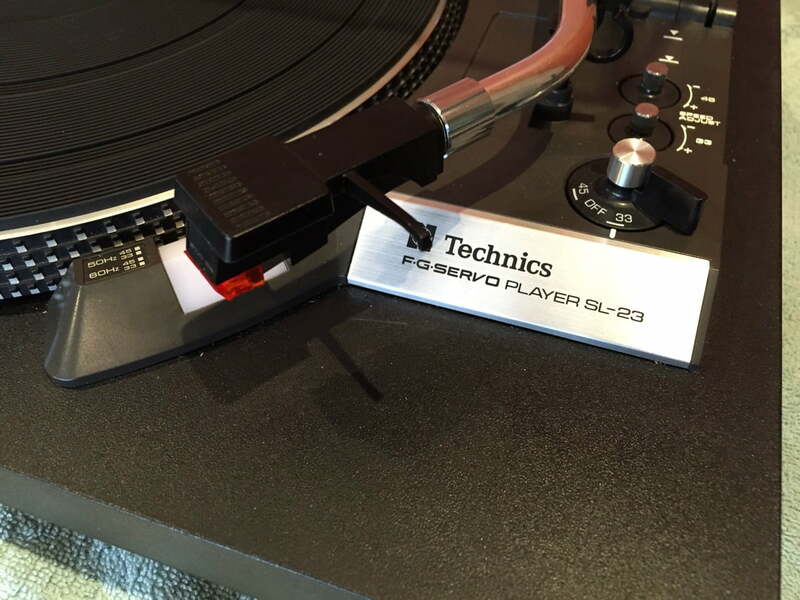 Technics is perhaps best known for the SL-1200 range of direct-drive turntables, but they built a huge range of machines, at varying price-points. The SL-23 is a belt-driven turntable with an FG (frequency generator) servo-controlled DC motor with IC drive. 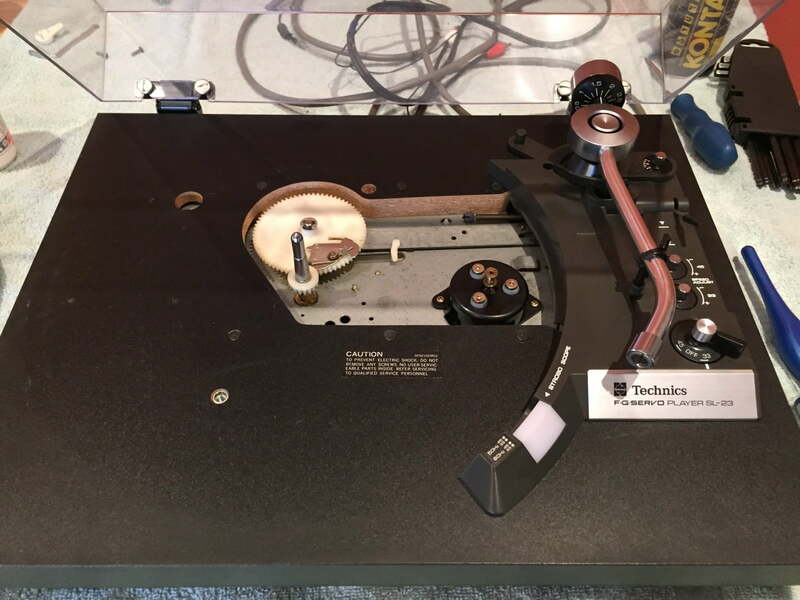 Technics basically took the basic belt-drive concept and added Japanese engineering, bringing the quality and refinement to the next level. The SL-23 features low rumble and wow & flutter and an S-shaped tonearm with automatic return / shut-off. The deck comes with a combined moving magnet cartridge and head-shell, and it’s a decent combination. This eliminates the need for cartridge alignment in two of the three critical axes. This is also a limitation of course, if one wishes to dispense with the integrated cartridge and head-shell. The deck also features a strobe and vernier adjustment of both 33 and 45 rpm speeds, a very nice touch. The SL-23 was also available as the SL-23K variant, with a black facia. 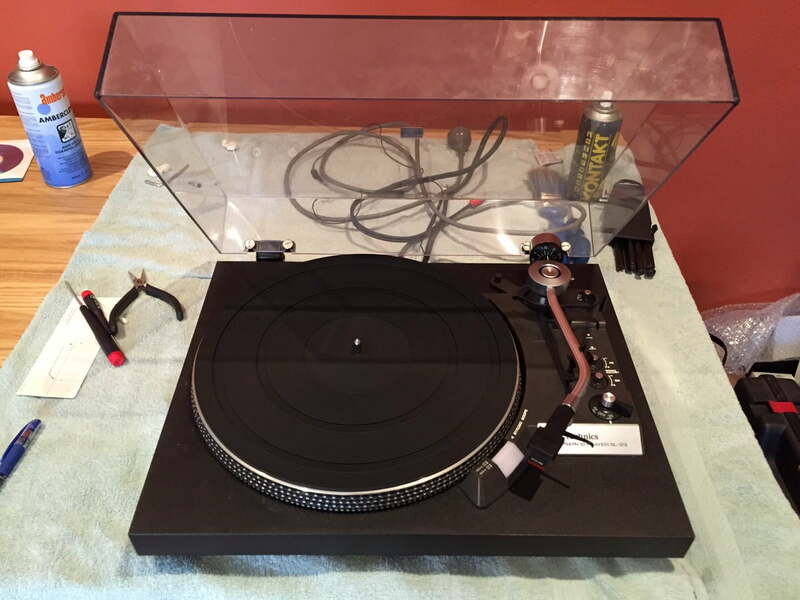 The images below cover some of the stages of disassembly and service involved in routine maintenance of the Technics SL-23. There is of course stuff I didn’t show and have’t explained, but the SL-23 is easy to work on and doesn’t need much to keep it running well. 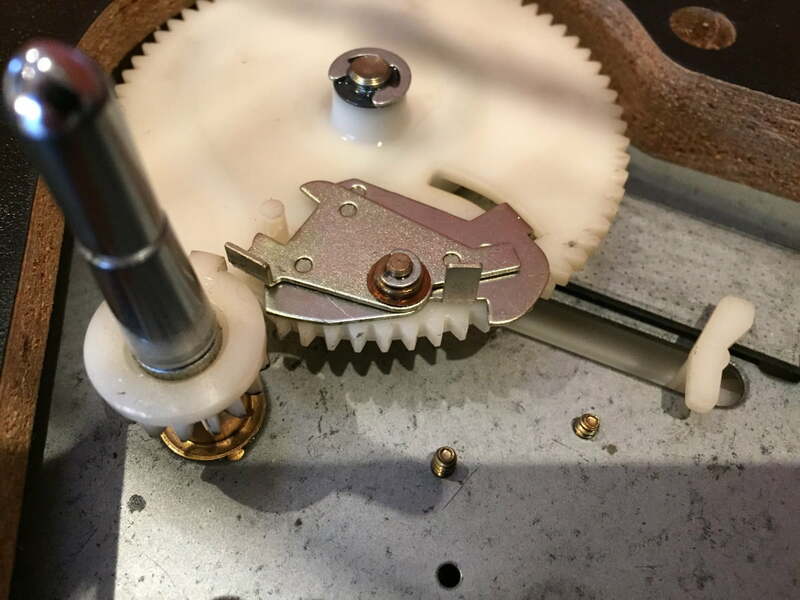 If only all belt-drive decks were made like this little Technics! The deck, as I received her. She was a little dirty, in need of a correct belt and some oil and some attention to the the speed control verniers, but otherwise OK! Note the integral cartridge and head-shell arrangement. This is also not an ‘ordinary’ belt-drive deck, it features an FG servo controlled motor, unusual in a belt-driven machine. Here we see the arm return mechanism, the motor and bearing. The deck is partially disassembled for cleaning and lubrication. It’s very important to use the correct weight and grade of oil and grease in the various places where it’s needed. It’s definitely also worth oiling the pivot point the large gear revolves around, and the spindle bearing of course. Detail, after cleaning. 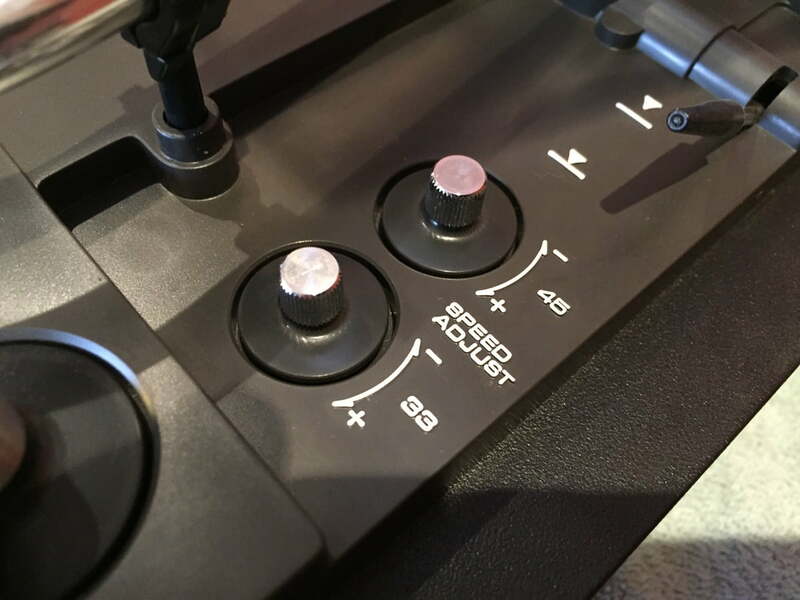 Here we see the vernier speed controls, a typical Japanese touch, something that is actually useful. 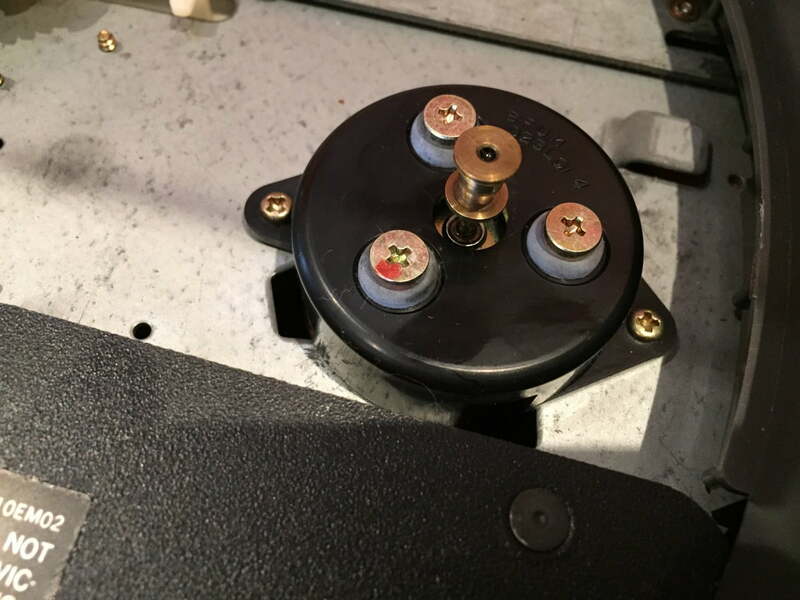 On SL-23s, I often gain access to these and apply a little premium potentiometer cleaner to the pots. Nice, clean control layout. Everything just works on a deck like this SL-23. Built-in strobe lights up the platter beautifully! New belt and stylus, fully serviced, speed locked! 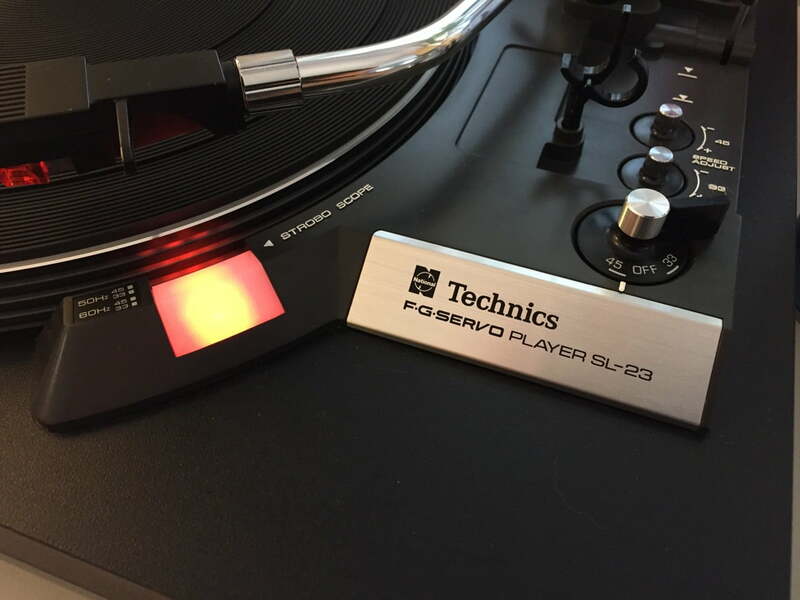 The Technics SL-23 is a lovely turntable and I highly recommend you keep an eye out for one, if you want a good, affordable and well-engineered basic deck. This was very helpful. my records aren’t sounding as good as they should be. I have narrowed it down to the turntable being the problem. I have no idea if it’s ever been serviced and will definitely do so. I want to get a new belt and stylus but am having trouble finding out what exactly I should get. Hi Brad, glad this helped! My suggestion is to definitively bring her in for service. I will check out the entire deck and lubricate and adjust everything. I’ve not had a deck come in that doesn’t sound better after I’ve serviced it! Let me know if you’d like to book her in. Cheers, Mike. I’d love to have you tune it up but I live in Canada. Just looking for the specific stylus and belt you’d recommend. Hi Brad – OK, this makes it tricky. You need the standard replacement belt for the SL-23, available from many online sellers and the stylus will depend on what cartridge you have installed. Just choose a replacement for what you have, unless you want to install a better cart. If so, I suggest looking at the Ortofon 2M range as a starting point. Proper service and setup are critically important in all of this, as is matching a different cart to the tonearm’s mechanical characteristics. Cheers, Mike. Thanks Mike I really appreciate your expertise. Hi Mike, after looking online i’m a little confused about the right belt. Some places have the belt at 5mm and some at 4mm. Which belt did you use? Hi Rod, I believe there are actually model variations with the SL-23 which mean that there are two different belts available – 4mm and 5 mm. This is where I would investigate and supply and fit the correct belt if you brought her to me for a service. I’m guessing you are not local? If not, your best option is to find a reputable supplier and give them the serial number of your unit, to be sure you get the correct part. Having said this, you will likely find that both belts will fit and work, so I wouldn’t sweat this. Thanks for the info Mike. I’m on the eastern seaboard, otherwise would bring it in. Once again, thanks for your help. Hi Gordon, thanks for commenting and sorry to hear you are having SL-23 troubles! I’d love to take a look and sort her out properly for you, but I’m guessing you are not local or you would have already brought her to me. I’d definitely try to find a competent repairer though, someone who is able to troubleshoot vinyl systems. Easier said than done I know, good luck getting her sorted.